Shoals Marine Laboratory offers a limited number of dates available for visiting educational groups during the summer season. If you are interested in bringing a group to Appledore Island, please contact our main office to begin planning as early as possible. 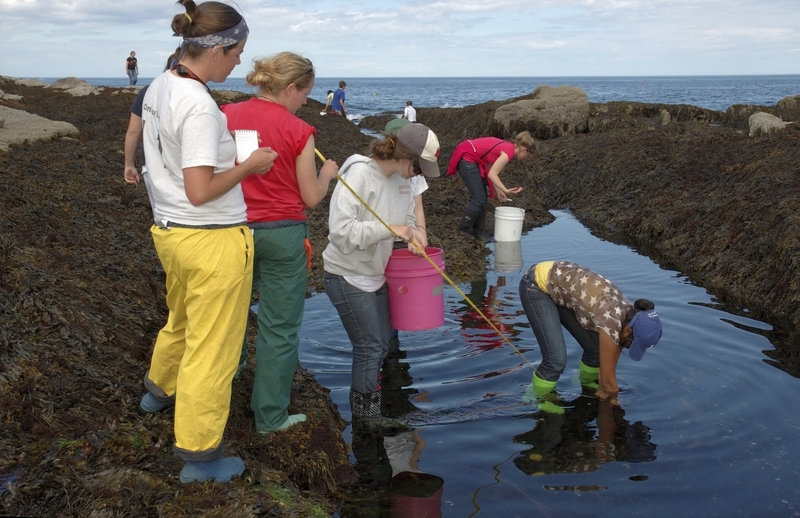 Students explore the intertidal zone. Group leaders: should have prior experience bringing a group to Appledore Island (knowledge of the island and SML facilities). Confirmation Letter: Trips are reserved once group leaders receive a signed confirmation letter from SML staff outlining all trip details and a fee estimate. Passenger Manifest: Group leaders must provide a passenger manifest with all participant names at least 2-weeks before the trip. Release Forms: Group leaders are responsible for making sure participants sign/complete all release forms. Include any field work, specimen collection, etc. SML staff can provide a trip itinerary, if desired. Vising groups will be invoiced by the SML office after the trip. Payment must be received in a timely fashion. Invoices will be processes through the UNH-EOS Business Service Center. Igniting Streams of Learning in Science (ISLSI) from Hiram College in Ohio brought 30 high school students, 5 high school teachers, and 5 undergraduates from Pakistan, together with 12 American mentors for 6 days on Appledore Island. 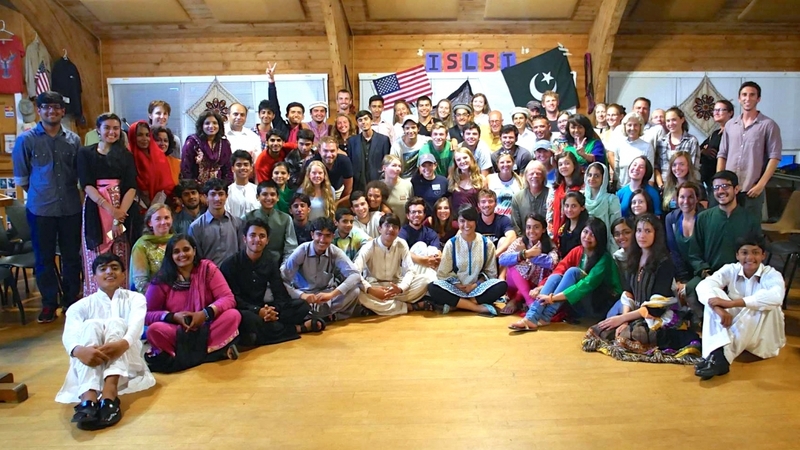 Here's the final group photo with SML students and ISLSI after "Cultural Night" in Kiggins Commons!